Review Context: I’ve played all the Super Smash Bros. games and have enjoyed each one with their own perks, including the 3DS version. 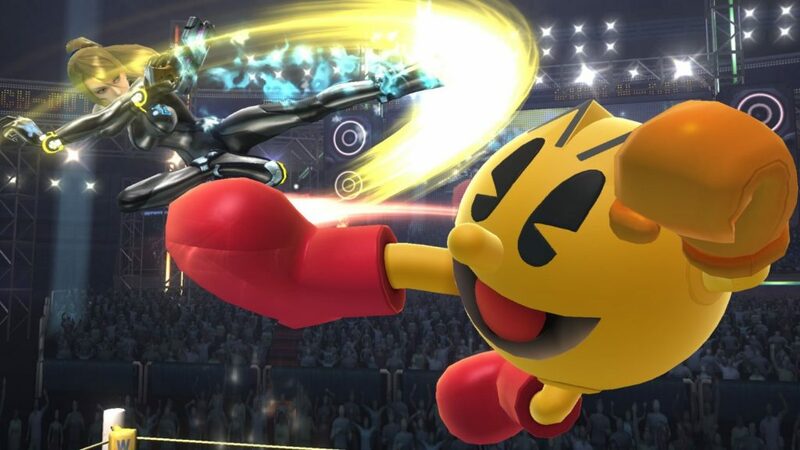 With the launch of the Wii U, people were hyped for where the next installment of the Smash Bros. franchise would go. With the 3DS version released, some were not happy that the roster would be the same on Wii U. Despite that, people were excited to learn that they would be able to play with their GameCube controllers and in HD for the first time. Will this game give naysayers a reason to buy a Wii U, or will you just dig out your GameCube and play Super Smash Bros. Melee instead? If there is one thing I notice about a Nintendo game on the Wii U, it’s that they take a lot of time to put in colorful details on their visuals to take advantage of HD. The stages are bright, colorful, and easy on the eyes. Super Smash Bros. for Wii U is the first game I’ve noticed a difference when playing with component cables versus HDMI. When playing with the HDMI input the colors are even brighter. Not to mention the character animations are smooth as butter running at 60 frames per second, even with chaotic 8 player mode. There is also fur texture on certain power ups, like the Super leaf with the raccoon ears and tail. While the 3DS version lacks an intro, the Wii U version has one to get you pumped, but upon seeing all the intros I still think Super Smash Bros. Melee has the best intro. Another advantage the Wii U has is the ability to play a game with different control options (if that game supports it). The biggest news is the ability to play the game with a GameCube controller, provided you were lucky enough to get the GameCube adapter. You can also use the Wiimote, Wiimote and Nunchuk, Wii Classic Controller, Wii Classic Controller Pro, Gamepad, and Wii U Pro Controller. After using the GameCube controller, I preferred using the Wii U Pro Controller, but the other control schemes work well since you can customize your controls. You can also use your 3DS or 2DS as a controller. I was fortunate enough to get invited to a Smash Bros. party for 8 players. We used four GameCube controllers, a Gamepad, Wii U Pro Controller, and two Wii Classic Controller Pros. To our amazement, we noticed something on the ground we haven’t seen in ages. Wired controllers running on the floor. Good times. If the 3DS version is a burger combo, then the Wii U version is a six course meal. The amount of content in this game is amazing, considering some fan favorites from Super Smash Bros. Melee return such as coin battle. While some modes I mentioned in my 3DS review return, some features were added in to the Wii U version. While the 3DS has Smash Run, the Wii U has Smash Tour. Smash Tour is Smash meets Mario Party, in which 4 people (Miis) go around the board to earn fighters for the final bout, which is random just like Smash Run. Smash Tour is hard to explain, but to sum it up you earn items that can affect each bout that can change the outcome of the final match. I played this by myself and with friends and they admit to having no clue what was going on, but after playing the mode for awhile, we started to understand the mode and enjoyed it. Special Orders is when you do crazy tasks to earn you a fight with Master or Crazy hand. The harder the task, the better the reward gets. If you lose all those items you earned are gone. There are moments when you do so well to where you think you can take one more fight. only to let your ego get the better of you and lose all your hard work. 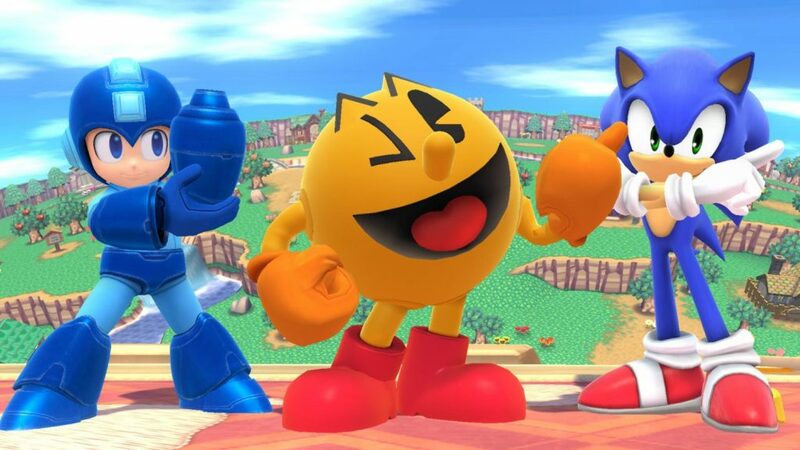 Event mode comes back with you fighting in different scenarios (Using Pac Man’s final smash to obtain a high score) to unlock more missions. This is a fun mode and can even help you with using fighters you tend to ignore. My favorite has to be when you fight the original eight fighters from the first Smash Bros. The 3DS version has stages based on the handheld games, while the Wii U counterpart has stages for the consoles. The stages look polished and amazing. Seeing the Super Mario Galaxy stage in HD makes me hope they plan to make a Super Mario Galaxy HD remake like they did with The Legend of Zelda: The Wind Waker HD. For the 8 player fights there are levels made to handle the chaos, however the amount of stages you get to pick from are cut in half, which means no “8 player Fox!, No items!, and no Final destination!” since that stage is not available. While the new stages are great, it is disappointing to see most of the stages are returns from the previous games. It should be noted that an upcoming update will allow for a Miiverse stage to be available in which Miiverse posts will be shown in the background during a fight. You will also be able to share your created levels as well as set up tournament brackets online. 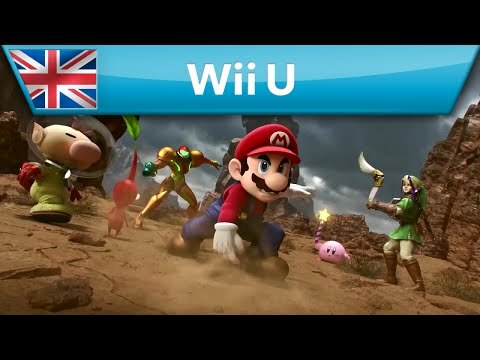 You can transfer your Mii fighter from your 3DS to your Wii U (or vice versa), but you cannot edit your fighter on Wii U. The one feature I will not talk about is the Amiibos, and how you can train your AI up to level 50 because I do not have an Amiibo yet. When I do purchase one I hope to update this portion of the review in the near future. You can take screenshots of fights, but you will need an SD card to save your photos. While replays are available, sadly there is no share option for replays like there is for Mario Kart 8. There is a nice feature for trophies where there is a collection box to give it that collector’s feel, and you can pose your trophies for some creative photos. The ability to co-op on some modes is a huge surprise. Nothing like breaking records with two player home run contest. Online mode returns and based on my experience, using WiFi, I had no online issues like I had with the 3DS version. I only ran into two moments when the game dropped out, but other than that, a much better online experience. With the extra storage for the Wii U, the amount of songs in this game is crazy. You can unlock more songs to add to your collection, as well as choose how often a certain song is played on a level and the menu screen. There are even songs in Japanese that are usually omitted in the US version of games. The sound effects and voice acting are great and blend well with the chaos going on.